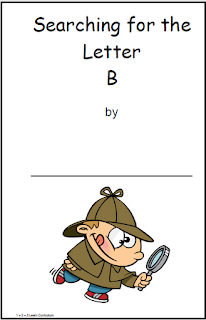 I have added Search for the Letter A and B books to 1 - 2 - 3 Learn Curriculum. In color and B & W. There is also the option of printed words or no words for the children to practice writing. You will find these files under the Alphabet link once you sign in.